Description: Seen in Southern Accents Magazine December 2006. 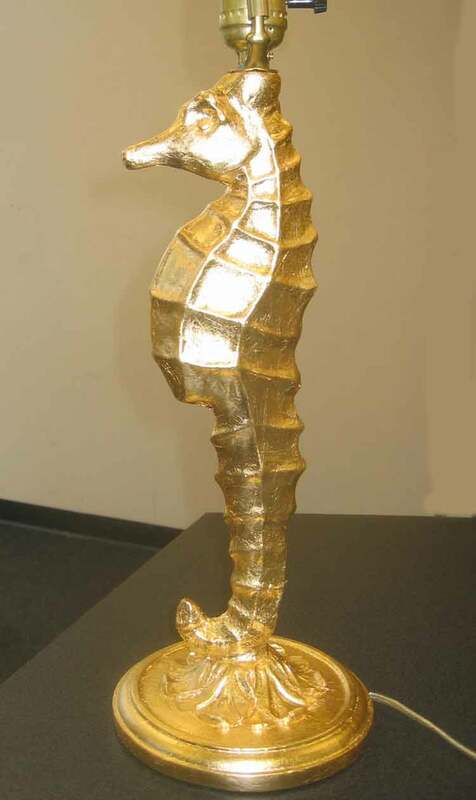 Sea horse Lamp. Gold paint. Shade not included. Hand painted resin. Can be antiqued or left shinny. Matching sconce available. Hand applied 14k Gold Leaf extra $100. 16" tall, 26" tall with shade.